This looks incredible! I love Purely Decadent coconut milk ice cream. The Chocolate Peanut Butter Swirl is one of my favorite flavors! 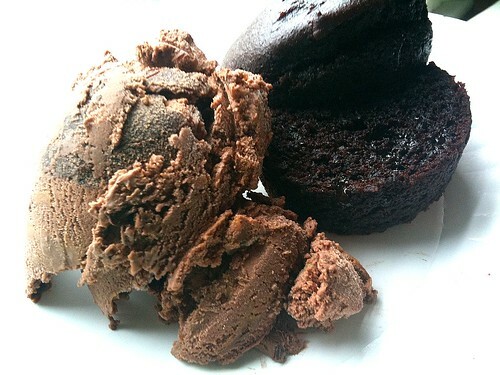 I haven't tried Udi's Double Chocolate Muffins yet, but now I can't wait to find them. Ooooooohhh!!! You had me at Udi's!! I love, love, love chocolate, too!!! I saw you tried the pizza crust, too! We also love that. The chocolate are the best! Even my daughter loves them. I love Udi's breads too. I see the markets are starting to sell the breads. I buy the muffins at Whole Foods.